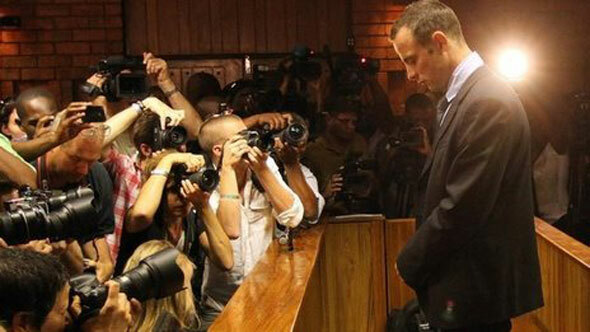 South African paralympian Oscar Pistorius goes on trial today for the murder of his girlfriend Reeva Steenkamp. The ‘Blade Runner’ is accused of murdering Steenkamp on Valentine’s Day last year at his home in the east of Pretoria. He claims he mistook her for an intruder. Media interest has grown significantly for the case which will be heard by Judge Thokozile Masipa at the North Gauteng High Court. Several local and international media houses are stationed at the court for what has been labelled the trial of the century. Part of the trial will be televised with conditions after Judge Dunstan Mlambo last week approved an application to film the proceedings that was brought by news channel eNCA, joined by media houses MultiChoice and Eyewitness News. He said there will be no close ups and recording of private conversations.